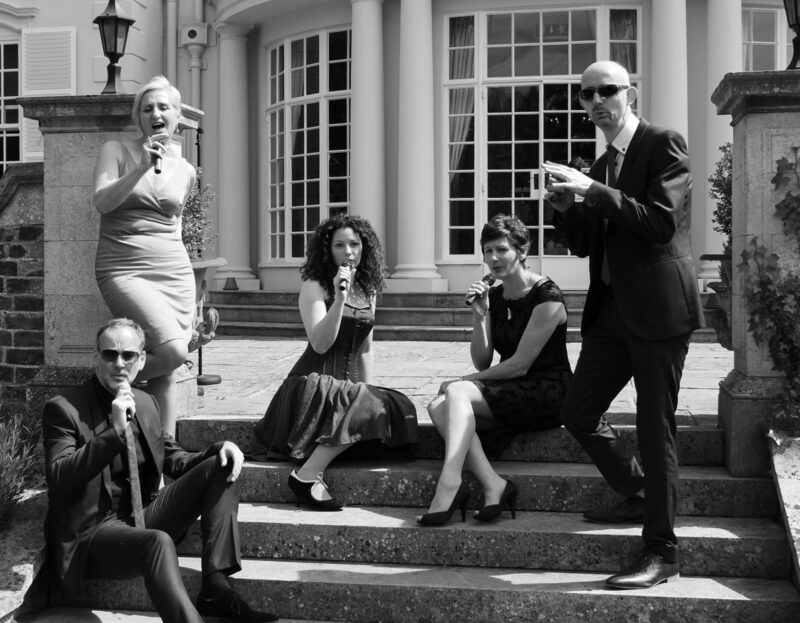 Academix are a contemporary a cappella band based in Woking, bringing close harmony pop and jazz to Surrey. Starting with the tradition of The Swingle Singers, they add the movement, smooth grooves, and unique arranging style that has been so successful with TV shows like Glee and the 2012 hit movie Pitch Perfect. Their sets range from the Beatles to Beyonce and from Lady Madonna to Madonna. The band was founded in 2014 by Jonathan (tenor and VP), who grew up with Anita (sop), married Cate (mezzo) and met Cat (alto) while singing with the Mosaic chamber choir. Neil (bass) … well, we got him off the internet.